The RC Engine: The O.S. 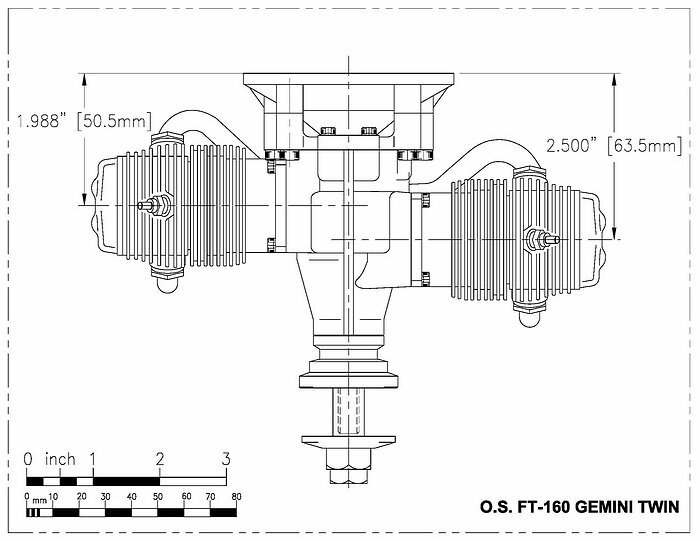 FT 160 Gemini Twin. Full details of this beautiful RC engine. How to mount it and run it and 3 view drawings are available. The above photo is from the O.S web site. This RC engine would look nice in a trophy case but that would be a waste of such a beautiful engine! I have owned one of these for a number of years and it is one super running and sounding engine. 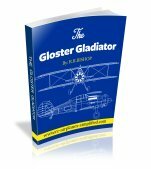 It powered a 1/4 scale Cub for many years and was very easy to start. I could start on one cylinder and switch the glow igniter to the other cylinder and I was ready to go! The engine is now installed in the Top Flite Stinson Reliant and is just about a perfect power match to this very nice 1/5 scale model. 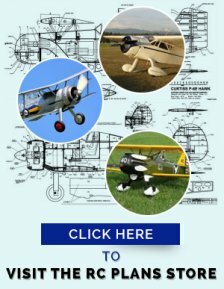 Visit this page for more details- RC Model Airplane Kits: The Top Flite Stinson Reliant SR-9. Any scale model, with a radial cowl or a Continental flat four type of motor, with exposed cylinder heads, is ideal for this engine. 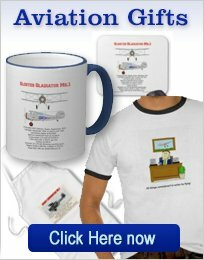 ( The Piper cub or Super Cub is ideal). Model weight should be from 16- 25 lb. If you use a radial cowl then ensure you have good air entry and exit. I used a dummy radial engine, in the Stinson, and cut it away, in front of the cylinders. I also made sure the exit area was at least twice the size of the entry. I found that 10% Nitro glow fuel was good and the O.S "F" type plug was by far the most reliable glow plug to use. I used an APC 16x8 prop, that lasted me for years and eventually had to be replaced due to all the little nicks and burrs it sustained. With the above mentioned prop, plug and fuel the RPMs were 8,100 to 8.500 and this gave a LOT of thrust! I used either a 1/4" ply box or 1" diameter, dowel stand-offs. First you must calculate how long the box or stand-offs have to be and if you can find long enough socket head capscrews, if you are thinking of using the dowel stand-off method. The diameter of the screws should be M5 or #10 UNF. If you need to add down thrust and/or side thrust, this must be taken into account when deciding the length of the mounting device. If you are using dowel, then use a "Penny Washer" at each end of the dowel. When all is complete give the wood surfaces a coat of epoxy thinned 50/50 with rubbing alcohol, to fuel proof everything. I found that any type of muffler was just not required. The sound of this RC engine has never bothered any one, in my experience. I just used the exhaust pipes and never had to extend them, although I think this is possible. A 14 oz. tank will give an engine run of approximately 10 minutes. I never found it necessary to provide glow heat at low throttle settings. I did however, use a remote glow hook-up, for safety reasons, on the Stinson. It was much easier ( and safer) to use the remote connectors, on the side of the fuselage. Mounting screws (M5x 25) .Quantity 4. Extremely smooth running RC engine. Good speed range and smooth at all throttle settings. 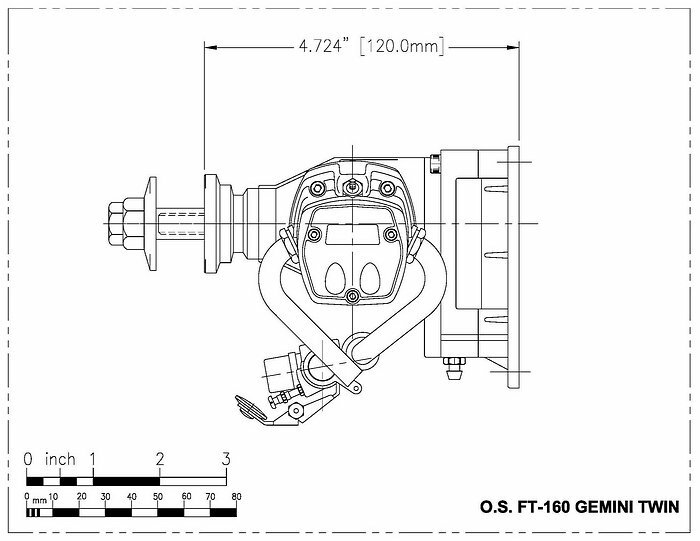 I have tried to provide these drawings at full scale of this super RC engine. If you click on the drawings below you will have access to a PDF file that you should be able to print on letter size paper. Take a look here for the O.S. Manual. Name: O.S. 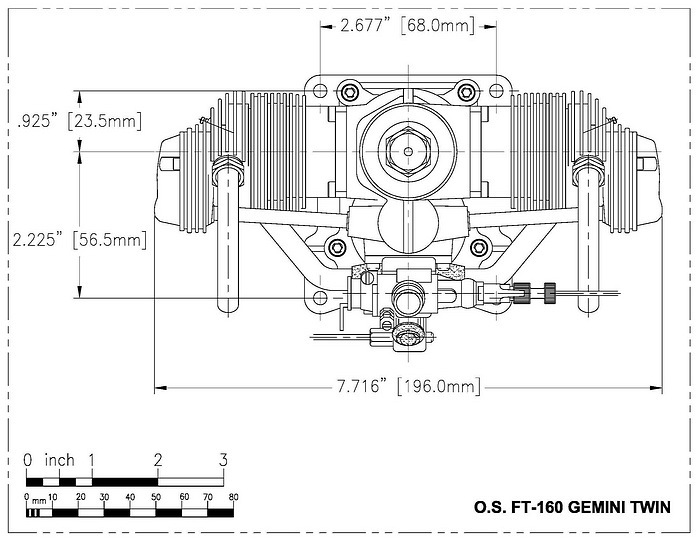 FT-160 Gemini Twin RC Engine. 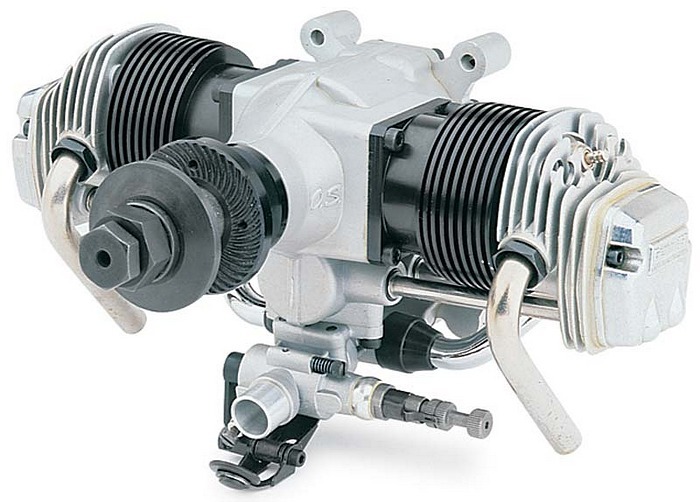 Type: Twin Cylinder, overhead valve, horizontally opposed, four stroke cycle. Power Output: 2.0 Hp @ 10.000 RPM. Crankshaft thread size: 5/16-24 UNF. Needle Settings: High Speed-3.5 turns out from fully closed. Mixture Control: .Low Speed-Flush with carb body, then 2 turns in.